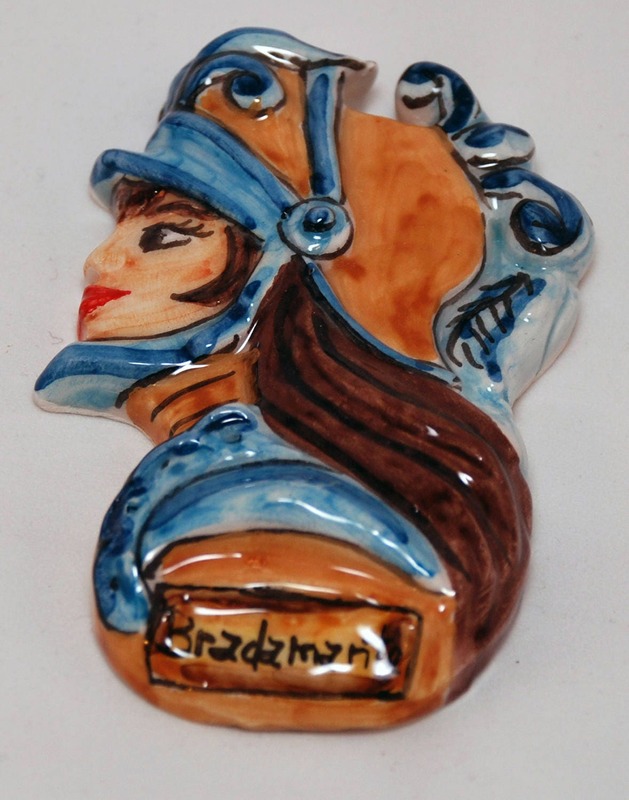 Traditional Sicilian Magnet Paladin "Bradamante"
Each piece from A Putia du Re is 100% handmade and hand painted. 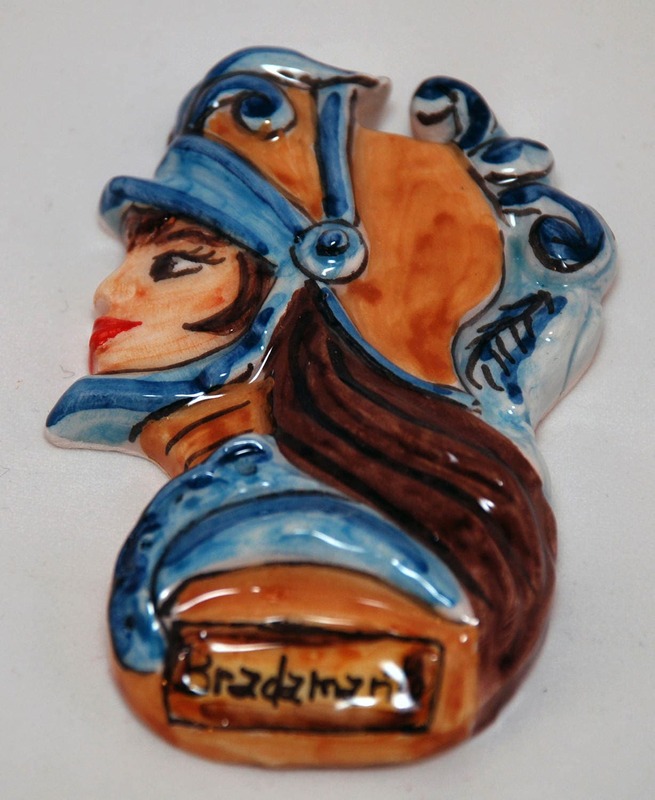 This Paladin magnet is made of natural terracotta; It was made in San Giovanni La Punta, Sicily. The one in this list is "Bradamante". She is a female Christian knight, sister of Rinaldo and falls in love with a Saracen warrior named Ruggiero. We import those items from Sicily to the U. S. for the enjoyment of our customers. This is one of a kind item, impossible to reproduce exactly as it is. This magnet will look great on your refrigerator, microwave or even dishwasher. About 3.2 in tall, 2.2 in length, .5 in width. Net weight 1.7 oz.